The folks at farm-to-table hot-spot Local Root (601 North McClurg Court) bring their mission of locally-sourced freshness one step further with a bit of a macabre touch, hosting a book signing by new, locally-grown, vampire-sleuthing author Jilly Langlan, as part of Local Root’s just-launched Afternoon Tea, available through December 31. 2 p.m. to 5 p.m. Mondays-Saturdays, $24 per person. 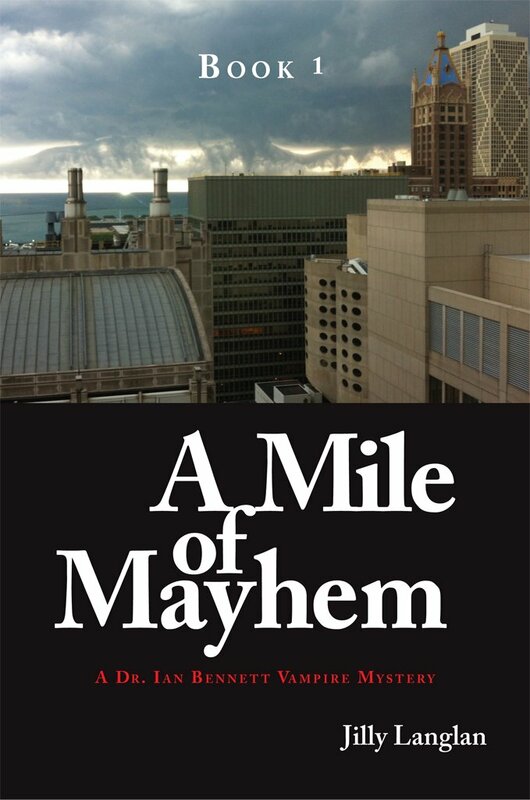 A Mile of Mayhem book signing with author Jilly Langlan is Tuesday, December 17, from 2 p.m. to 5 p.m. at Local Root. The book will be available for purchase during that time for $10. All who order Afternoon Tea that day receive a free, autographed book. Local Root, 601 North McClurg Court, Chicago.312-643-1145. www.localrootchicago.com. Written while serving as advocate/caregiver for her husband during his lymphoma treatment at Northwestern Hospital, Chicagoan Jilly Langlan’s debut novel is just one way Jilly has taken a devastating experience and turned it into something good. Set in Jilly’s hometown of Chicago, A Mile of Mayhem follows new and reluctant vampire Dr. Ian Bennett, a respected oncologist at a top local hospital. When Bennett’s patient, high-powered CEO Audrey Winslow, is attacked by a vampire and the vampire dies, Bennett is swept up in a fast-paced chase to fend off the malicious Great Lakes Coven and their plot to have a vampire elected as mayor. Featuring familiar Chicago hot-spots like Old Town Social, Local Root, The Ritz Carlton Hotel, and a Streeterville hospital campus, A Mile of Mayhem lets readers catch a glimpse of Chicago’s dark side. A Mile of Mayhem was published through CreateSpace and is currently available in paperback and Kindle on Amazon.com.